Our mission is to give ​honor to Jesus Christ by providing accessible, comprehensive health care in partnership with our patients and community leading to healthy, changed lives. All Crossroad sites (Over-the-Rhine, Western Hills & Harrison) will be closed April 19-21. We will reopen Monday, April 22. Wishing everyone a joyous Easter! Crossroad OTR Now Offers Walk-in Hours! Crossroad Over-the-Rhine offers walk-in appointments to our adult and pediatric patients. Come in when you feel sick or you have a minor injury that needs medical attention. Or you may want follow-up care for a chronic problem – like diabetes or hypertension -- and need a medication refill to treat that problem. We can address one health issue at your walk-in visit. And we’ll do our best to see you as quickly as possible! Walk-in appointments are available to all established Crossroad patients. Not a patient yet? Choose the location most convenient for you -- Over-the-Rhine (513-381-2247), Western Hills (513-922-4271) or Harrison (513-367-5888) -- and join the more than 12,000 adults and children who call Crossroad their medical home! Note: The walk-in provider cannot prescribe controlled substances. Please make an appointment with your usual primary care provider for these medications. The results are in -- and more than 98% of our patients said they would send their family and friends to Crossroad. 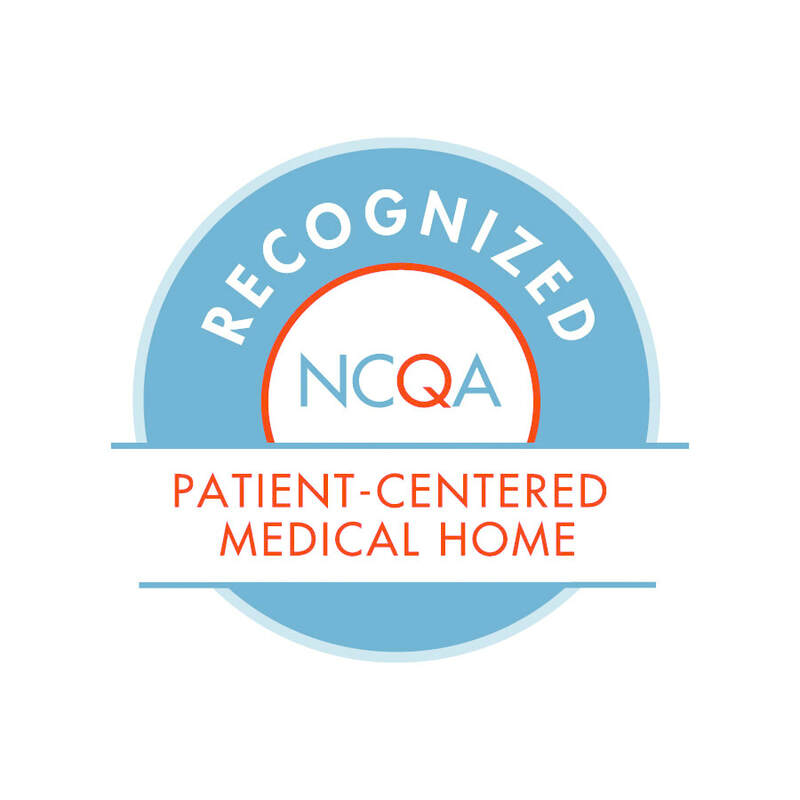 That's even better than last year's patient satisfaction survey rating, as measured by the Midwest Clinicians' Network (MWCN), and surpasses their average of 97.3%. More than 94% of our patients say we help them make healthy lifestyle choices. RNs and MAs ranked above last year -- and higher than the MWCN average on 100% of the questions. Crossroad providers ranked higher than all physicians rated by MWCN on 8 out of 8 questions about quality of care. Front desk staff ranked higher than last year on being friendly and helpful to patients. Welcome to Crossroad Health Center! We are here to be your partners in achieving and maintaining good health. At Crossroad, we create a “medical home” where more than 11,000 patients have easy access to medical and behavioral health care services. Without Crossroad, these patients would not receive the high-quality and comprehensive health care they experience here, regardless of their ability to pay. For 25 years, we have built enduring relationships with patients who have struggled to find high-quality and affordable health care. With a bond of trust firmly in place, Crossroad is changing lives by uncovering critical needs beyond the physical. 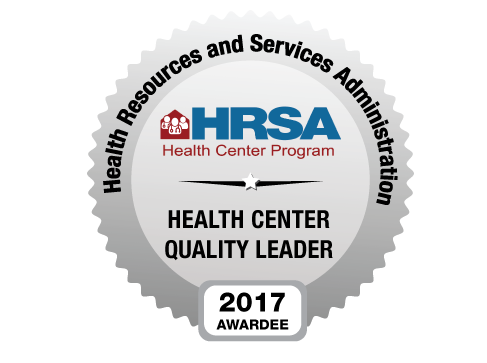 Crossroad is a federally qualified health center, and provides high-quality medical care for children and adults at our five locations. We offer care for illnesses, routine checkups, immunizations, preventive care and more. Crossroad Health Center provides primary health care to children and adults in Greater Cincinnati. Crossroad strives to provide care that treats the whole person -- body, mind and spirit -- regardless of ability to pay. Crossroad provides a sliding fee scale for patients with no insurance, with a minimum co-pay of $15. Medicaid, Medicare, most commercial insurances and self-pay are accepted. A bilingual staff provides culturally appropriate services to Spanish speaking patients. I have referred many friends/family here...I have gotten the absolute best care possible here. Crossroad has helped me & supported me in improving my general health & being 5 years clean & sober. I never feel judged or uncomfortable here & I hope I can remain a patient here forever. Started seeing a doctor here because it was all I could afford with no health insurance. Now, I wouldn't want to change doctors, even though I may be able to afford to! LOTS OF SPECIAL KUDOS to providers and their team. Thanks to our great Crossroad staff for their care and support of our patients! Drink for a good cause -- Crossroad! -- and help us raise money for patient services. Rhinegeist Brewery in OTR has selected Crossroad as their featured "Charitable Suds" nonprofit for Wed., May 29. That evening, every pint sold between 5 and 8 p.m -- to everyone, not just Crossroad staff -- will generate $1 for Crossroad. So spread the word -- invite family, friends and anyone wants to raise funds while having fun. Kids are welcome -- there are plenty of games to keep them busy. Free and paid parking is nearby. Crossroad has received a grant from the Sister Elise Grant Fund though the SC Ministry Foundation. We will use this money to purchase faith-based materials for our patients at all three sites. The Sister Elise Grant was created to fund projects where a small amount of money can make a big difference. This grant is available to nonprofit organizations where a Sister of Charity of Cincinnati has been actively involved as a paid staff member, board member and/or regular volunteer for at least six months prior to the time of application. Thanks to Sister Dee, our onsite chaplain, we were eligible to apply. "I'd like to have us see this resource as a blessing and an opportunity to help Jesus be more visible to our patients and to help us build a good spiritual relationship with them as their care providers," Sister Dee says. "So let's pray and give thanks for this blessing, and also, let's try to get all of us involved in using this money well." Staff are now discussing how to best spend the funds to help spread our faith message to our patients. Look for more details soon! Crossroad's prenatal program, launched January 31, 2017, has successfully served our pregnant patients for more than two years. To date, 73 babies have been born to our prenatal patients -- 40 at The Christ Hospital, and 27 at University of Cincinnati Medical Center. We serve about 30 prenatal patients at any given time. Crossroad also met our 2018 goal of having less than 9 percent of these babies delivered at a low birth weight (less than 5 pounds, 8 ounces). While some low-birth weight babies are healthy, others have serious health problems that need treatment. They may also be likely to have certain health conditions later in life, like diabetes, heart disease and high blood pressure. 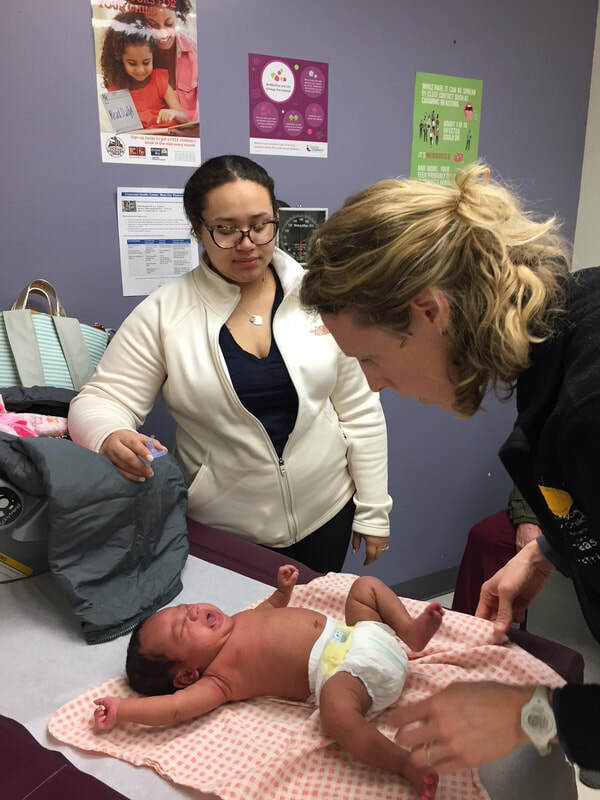 Congratulations to provider champion Dr. Christine Furgason for leading this effort, and to all the providers and medical staff whose hard work has made the prenatal program a success!